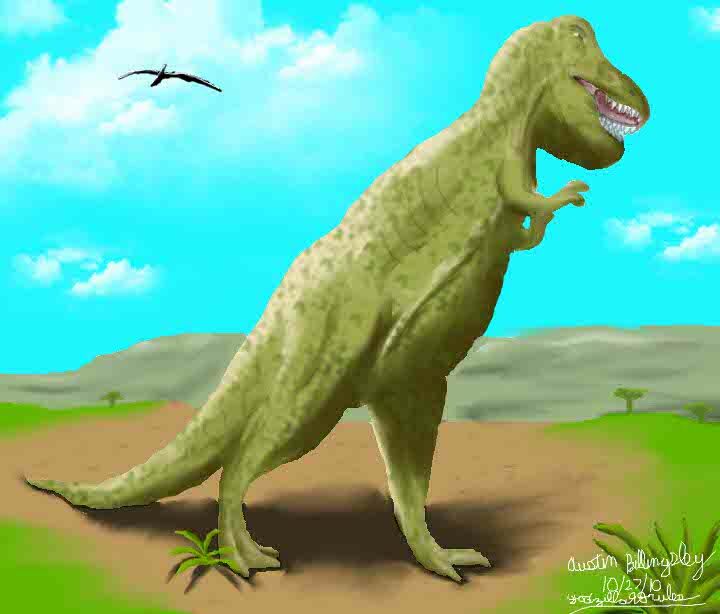 This was my first painting of a dinosaur. I used a skeleton of a Tyrannosaurus and painted muscle and skin over it. I also added a Pteranodon in the background.